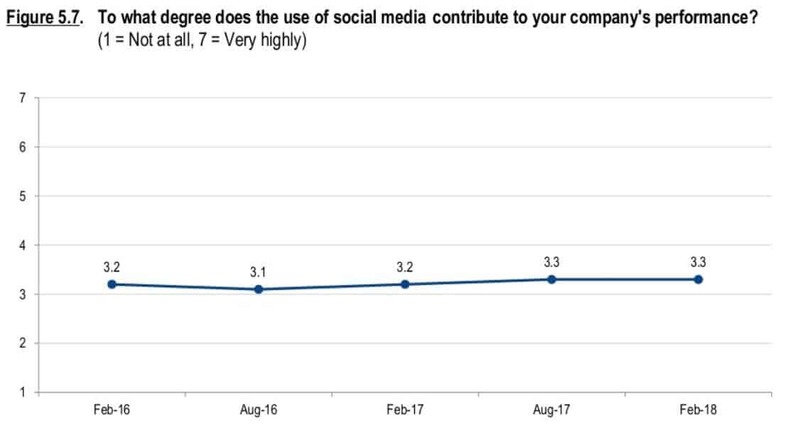 The CMO survey report as of February 2018 shows that social media is recognized to make contributions to company performance. Where 1 is the lowest and 7 is the highest, companies show 3.3 scores on how social media impacts their business performance in terms of sales. 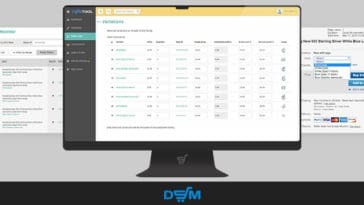 Many companies, dropshipping companies included, are now showing a quantitative impact of social media on their business while following an organized strategy towards a specific goal. If you start a social media marketing campaign, it’s important to have an organized strategy to have quantifiable results. An organized strategy includes having measurable goals and executable actions that are proven effective. The graph shows 23.3% of companies are showing a quantitative impact on the use of social media in their business. 42.3% are showing qualitative impact, and 34.4% are yet to see some good results. So what does this mean? Businesses would like to see measurable results which are reflective of sales. The fact that there are 23.3% companies are showing quantitative results, the next question is how do they do it? 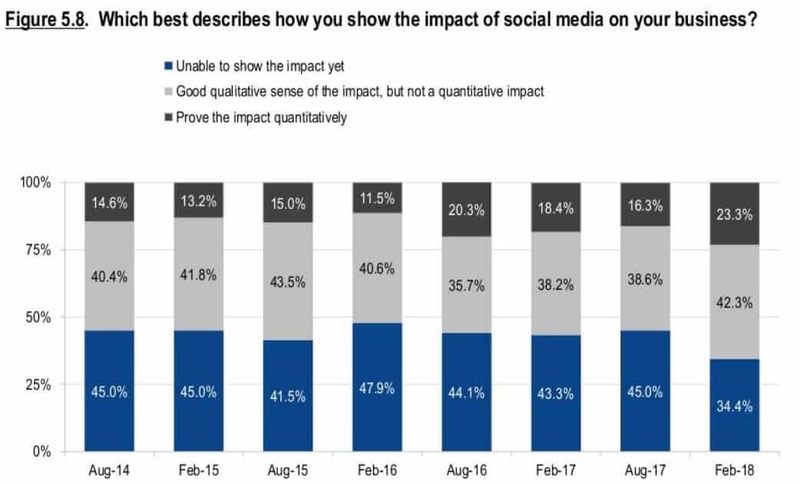 The CMO survey reports that there are 23.3% companies showing quantitative results (measurable results) in their business using social media. These companies are able to increase their sales using an effective social media marketing strategy which is tailored to their brand, the industry they work in, and the size of their company. It is easy to see that building brand and exposure are the only benefits of companies using social media. But the truth is these are building blocks geared towards measurable results. It all depends on the size of your business and the right strategy. So how can drop shipping businesses take advantage of the powers of social media? 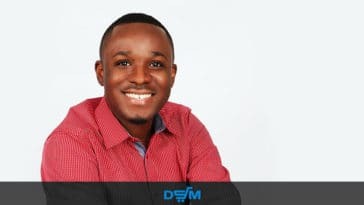 Before answering that question, let’s take a look at a few of the most effective strategies employed by large and small businesses focusing on B2C industries (Business to Customer) and see how we can learn from it. In most social media platforms, large companies are categorized not by the number of employees or revenue but by the number of following. Social Media Platforms such as Facebook, Instagram, and Pinterest have made it easier for large businesses to launch new products and services directly to their followers where all followers are assumed customers that fall in any category – interested customers, existing customers, and potential customers. The direct sales approach will only work with businesses that have a large number of following on any social media platform. A business that launches new products and services and directs followers to their online sales portal sees a quantifiable result. While not all followers will buy, there is a big chance of wider product exposure. Your follower shares your product, your non-follower but a follower of your follower or a friend of your friend will be able to see your product and decide to buy. This equals to sales, a rather quantifiable result from low-cost marketing and promotional campaign. Running ads on social media will require some investment. The concern for most businesses (large or small) is the cost of running ads on social media. Let’s take a quick look at ad investments on social media compared to traditional advertising. The defining metric used to identify which is a better advertising option in terms of cost is CPM which stands for Cost per Thousand Impressions. CPM is the advertising metric used to measure how much money you are going to spend per 1000 reach. 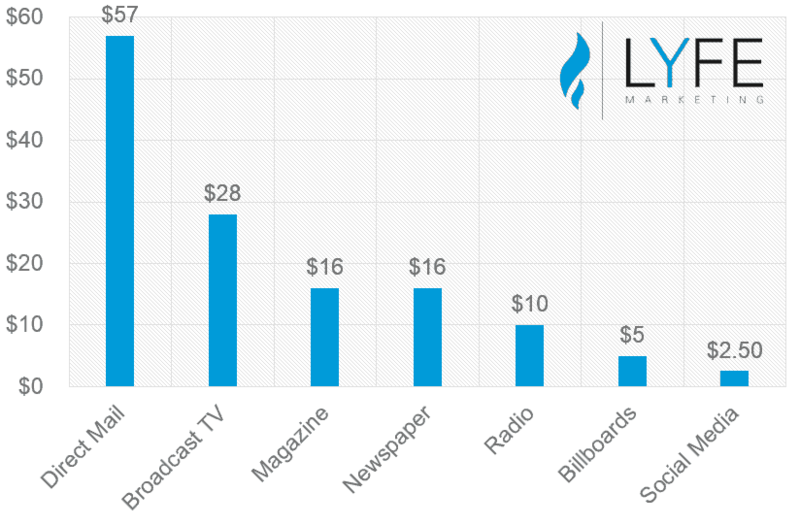 LYFE marketing has provided us with a summation of a recent cross-channel media costs comparison in CPM. The graph above shows that Social Media Advertising cost is by far the cheapest form of advertising compared to other forms of advertising. Therefore, your investment of $2.50 (which is a fairly inexpensive investment) can let you reach 1000 people who are likely to make a purchase, a cheaper avenue to advertise your product to a more specific and targeted audience. As shown in the graph above, there are 23.3% businesses that see quantifiable results in social media. This is a mix of mass marketing and ad marketing on social media. Businesses are looking for positive returns on investments. 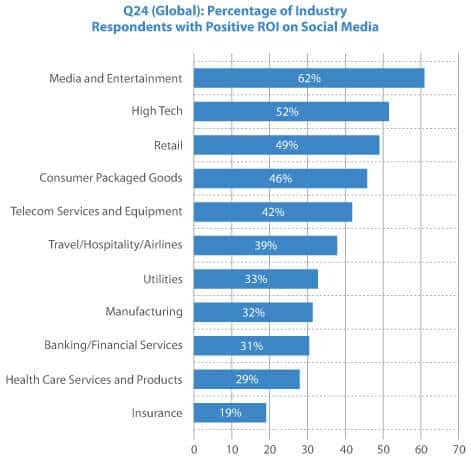 Below are industries that are showing positive ROI (ROI = Return on investment: How many dollars you earn for each dollar invested) in social media advertising investments. With this presentation of advertising costs and ROI on social media, we can say that social media is a cheap source of advertising that can provide a wider audience while gaining quantifiable results. What is influencer marketing? Influencer marketing is a collaboration of brands and influencers who make use of marketing tools to endorse products and services of a company. The Influencer Marketing Hub has provided a nice description for influencers. I have quoted the text below. Influencers can be anyone who has a huge number of following on any social media platform. These are the type of people you are looking for. Note though that you should choose an influencer that is relevant to your niche. Employing social media influencers is usually expensive, however, could produce a high ROI for many businesses. The right influencer could help a company expand their reach gaining a huge recommendation value via a reliable source that has built and established trust. Your influencer is the presenter and ambassador of your brand. 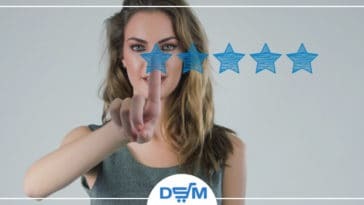 Shane Baker, a digital marketing consultant shows at least 4 ways to measure your ROI on influencer marketing – Reach, Engagement, Impressions, and Conversions. Among these 4 methods, conversion is perhaps the most important. It is the number of people who have reacted to your call-to-action page or link which could be a direct link to your sales portal or subscriber page. The success of conversion really depends on the company goal or objective. You can check out his Shane Baker’s post on Medium. 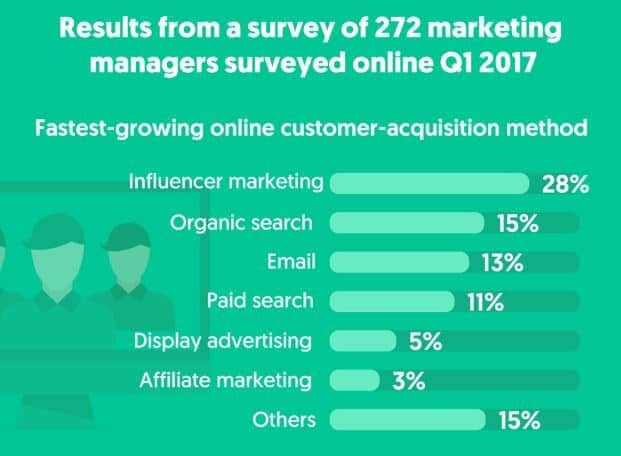 In a recent survey done by Influencer Marketing Hub, the fastest growing method to acquire customers is through influencer marketing. There are many benefits to employing influencer marketing, however, to make this strategy successful, companies will have to invest in the right influencer for their needs. Indirect social media marketing techniques do not point followers directly to a specific product or ask followers to make a purchase. Rather, this approach will provide followers a reason to consider the company’s products. A very good example of this posts around mother’s day. 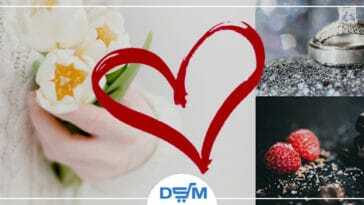 Observe companies greeting everyone happy mother’s day or a post on gifts for mom ideas. These types of posts are not directly selling a product but an indirect way of pointing followers to their company. Sponsorship programs is another good example of indirect marketing. KIVA is a non-profit organization that extends financial help to small entrepreneurs. In line with this, there are various companies supporting the program. These companies are in a way gaining from their sponsorship by pointing people to their company. Another example of this is writing a great content and publish it as a blog post. Content can come in the form of product reviews, new ideas, insights, or tips. This is basically called content marketing, a strategy embraced by many big or small companies to boost sales. Compared to large companies in social media, small B2C businesses usually have a fewer number of following. Therefore, small businesses will have to invest more creativity in order to reach the right people to increase their business sales. Make Your Presence Be Known. Small Businesses must use social media to help stay in the customer’s mind. Maintain a good presence for customers to remember you. Social media is an outstanding source of establishing an ongoing presence. It also encourages past customers to come back and use your business again, particularly if they are offered some kind of bonus like discount codes and other promotional offers. Many small businesses have a greater chance to succeed in social media by concentrating on indirect sales via social media. While direct marketing works for large businesses, it’s not usually the case for small businesses given that the resulting sales could be irrelevant. A better way to approach your target customers using social media is through indirect sales. This approach means you are going to use social media as the start of your sales funnel by distributing relevant content. This first step is valuable because of the indirect approach you are actually leading them to buy your products and services. It is what they call soft skills in marketing. Lead your potential customers to your company website through valuable items they can get only from your website like promo codes and other types of discounts. Items of value don’t have to be in the form of discounts or cash, it can be in the form of informational products like eBooks and other content. What is brand personality as a marketing approach? There are many established companies and personalities who are effectively making use of this strategy. 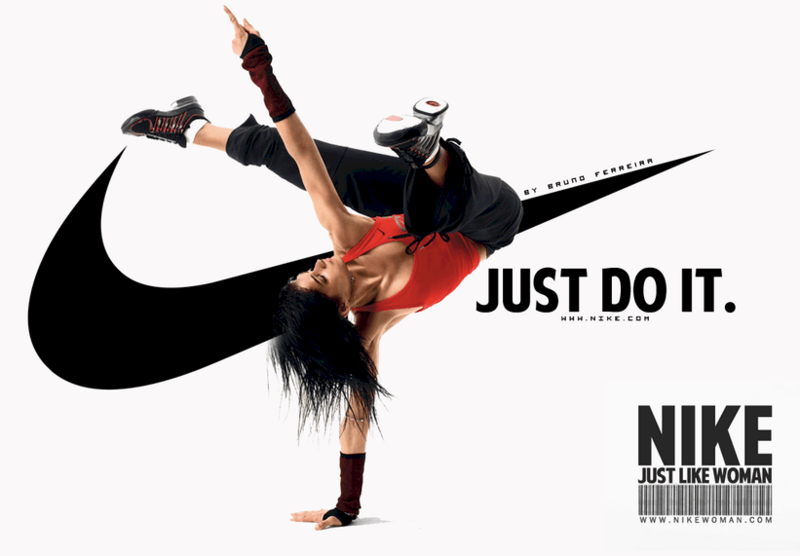 Companies like Nike with the “Just do it” caption is making it big, Dove soap with their purist approach exposing the beauty of women regardless of age and shape. These are just a few of the big names in the industry using the brand personality approach. While the “Giants” are using these approach, it doesn’t mean that small businesses can’t. Building a brand personality that relates to your product or service is interestingly a powerful approach for small businesses. This approach is a friendly and responsive way of communicating your brand to your audience through social media strategy. Your brand personality can make them laugh, cry, or raise a question, regardless it can lead directly to sales. When you are able to raise responsiveness from your followers, you know you are on the right track of potentially making sales. 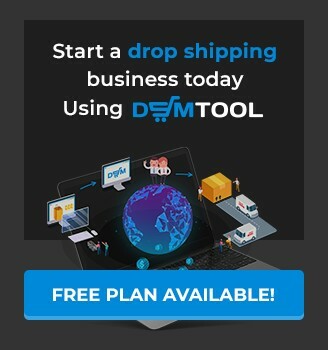 There are many social media strategies but note that not all of them will work for your dropshipping business. It’s not like a one-size-fits-all. Your marketing in social media will always have to be based on your goals and the size of your business. But one thing is common for both large and small businesses, you can use social media to increase sales directly or indirectly. 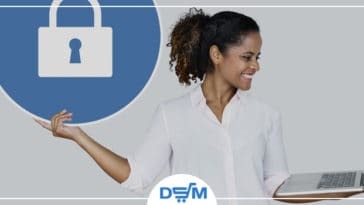 For example, you can choose to brand your store and invest in trying to reach customers who already bought from you (maybe by simply texting them after the purchase or send an email offering them to follow your Facebook or Instagram page). You can also try working with influencers; if you have a best-seller send them a free sample of it and ask them to review it and link their followers directly to your product page. 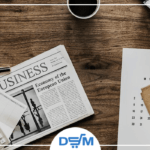 Even if it’s just you, always remember that there are many small drop shipping businesses who already employ dozens of people, meaning that you hold the same potential as well and investing in social media marketing is something you should definitely consider. We would love to know what you think about our content – let us know in the comments below!